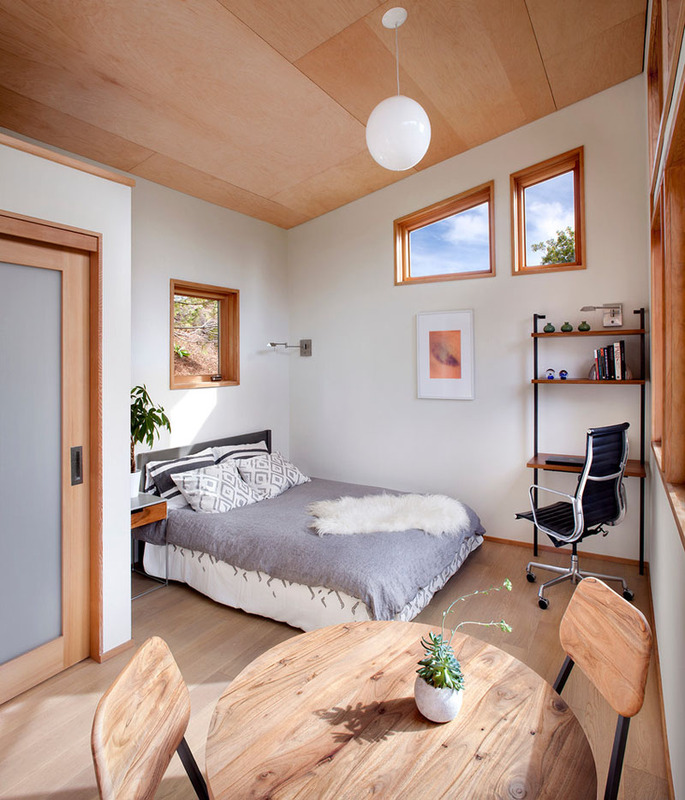 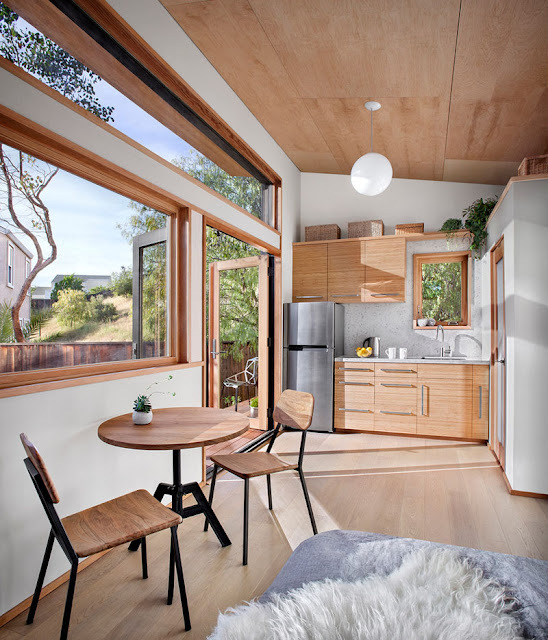 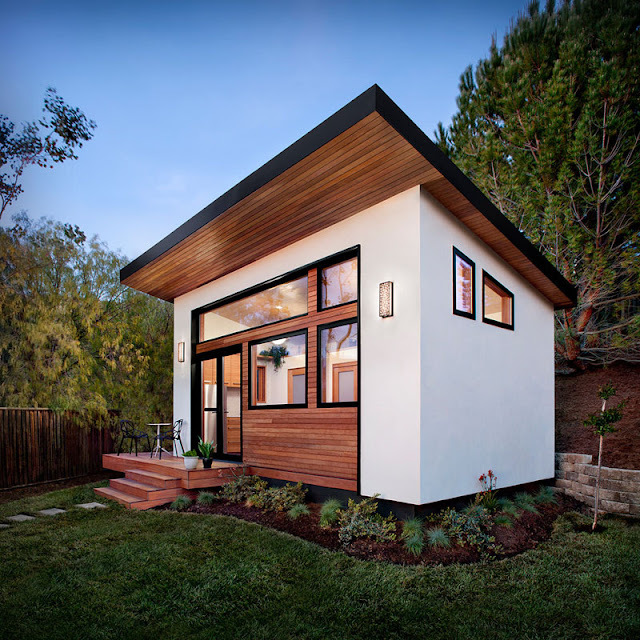 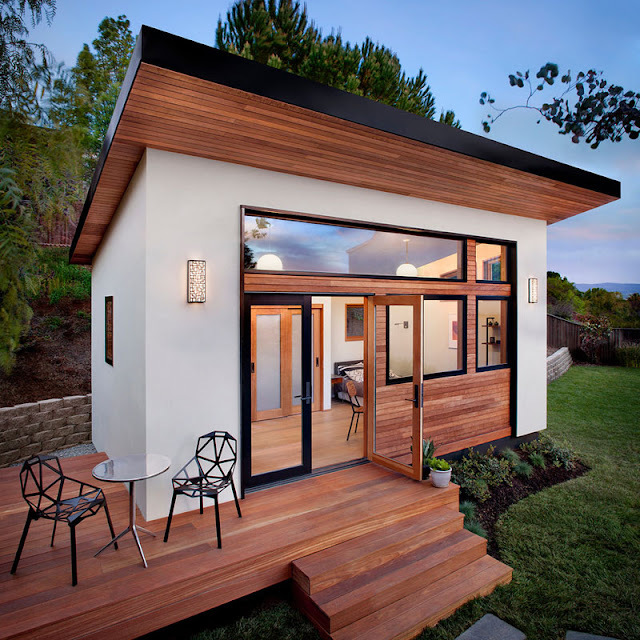 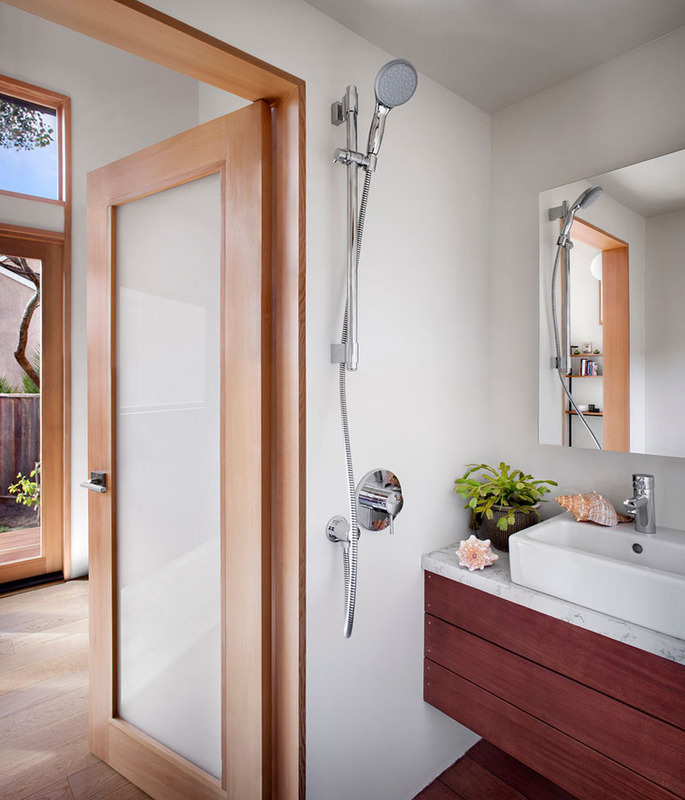 This stunning modern guest house, named the Britespace, measures just 264 sq ft. 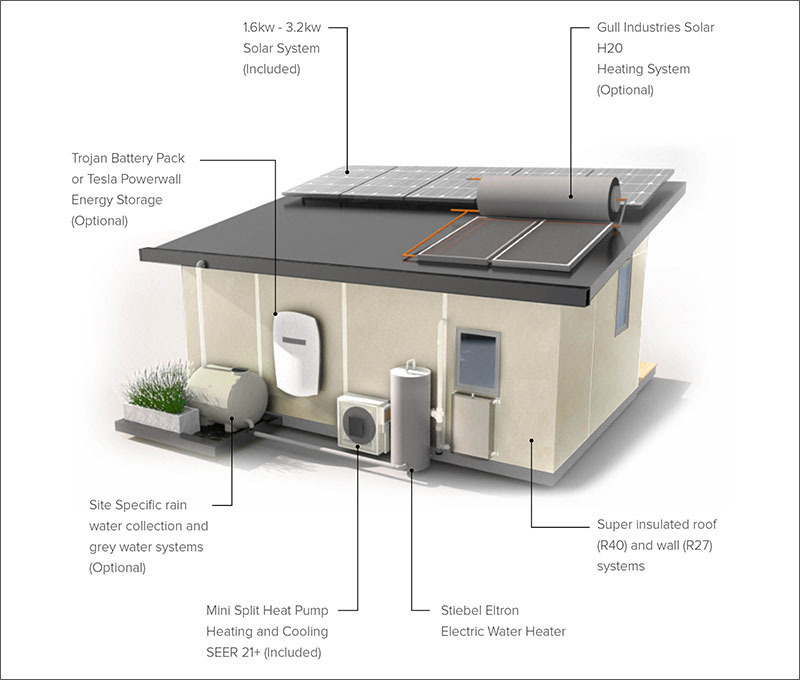 The prefab home, designed by Avava Systems, comes flat-packed in 64 components. This particular home was assembled in six weeks, from start to finish. 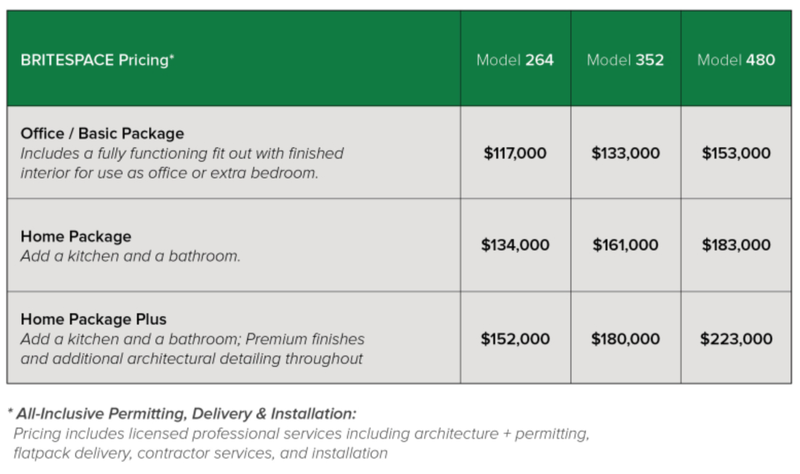 The layout includes a kitchen, bedroom, bathroom, dining space and a work area.